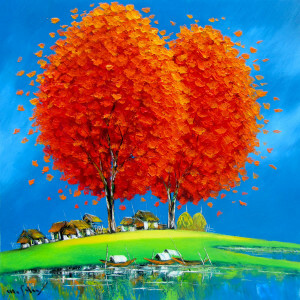 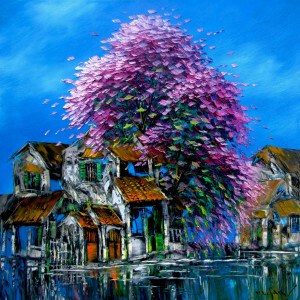 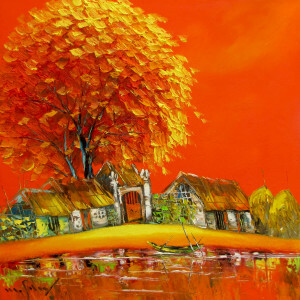 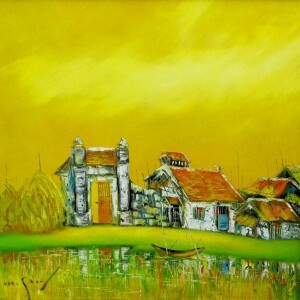 Twin trees with flaming orange leaves dominate the composition in the characteristic Asian artist Minh Son’s style of landscape painting. 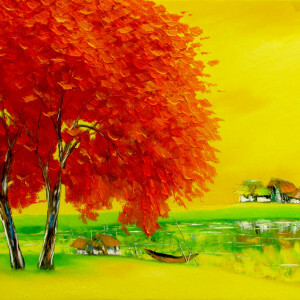 The warm colors and the tranquil waters too exude a sense of peace and warmth. 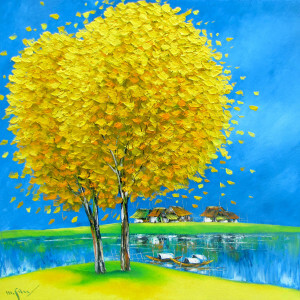 The composition achieves perfect artistic balance with the sparse forms that populate the canvas. 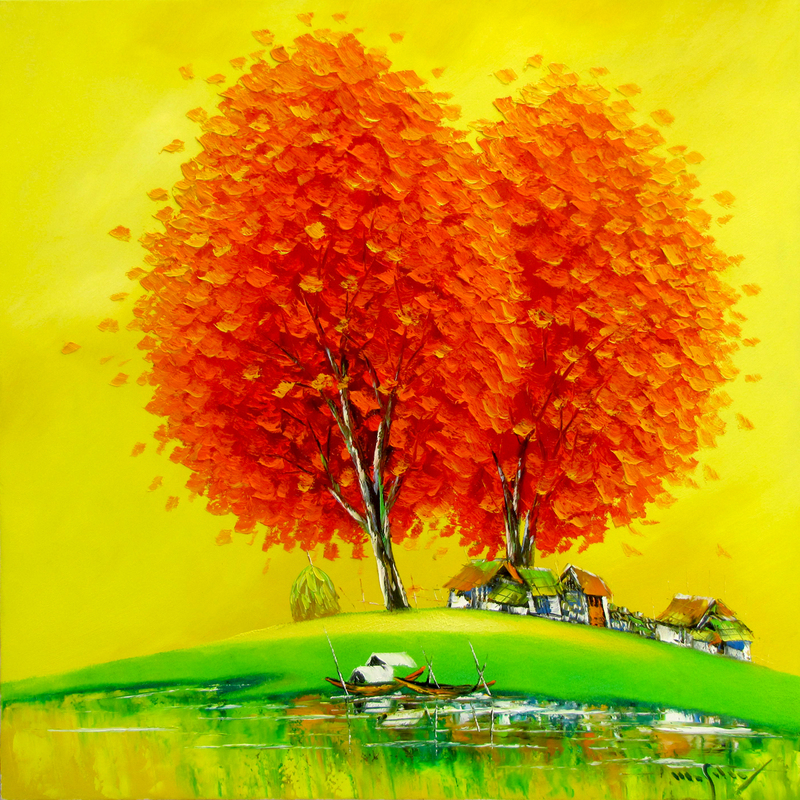 The piece exudes happy feelings.